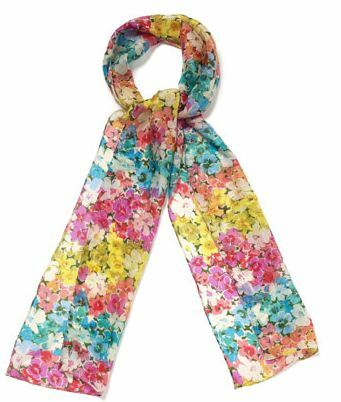 I have just fallen in love with this floral scarf from Accessorize. The colours & pattern are just so pretty, plus it is in the sale at only £8.00! Wonderful! So pretty! And all those colors – you could wear it with a zillion things.